Across the Universe Web Design was begun in 2005 to provide affordable, custom, websites to individuals and business owners. Our goal has always been: create a professional, search-engine-optimized (SEO), eye-catching website that reflects client design tastes and effectively promotes their product or services! We build our websites with award-winning Joomla CMS and Twitter Bootstrap. This awesome combination delivers true responsive design (i.e. MOBILE READY!). Your website will display on a large monitor, but will also adjust and provide a readable, fully navigable version for mobile devices. We focus on understanding the basics of your business, your services and your own client-base. Then, we build a custom website that exactly matches your style and design tastes. We hope you'll look at our Web Portfolio and read what Clients have to say about our web products and services. We are committed to delivering a state of the art product at a reasonable cost that meets your business needs and exceeds your expectations. What is SEO and how can I get it?! SEO (Search Engine Optimization) is the process of affecting the visibility of a website or a web page in a search engine's "natural" or un-paid ("organic") search results. To that end, our highest priority is ensuring that a Client's website is accessible to search engines and is built and optimized in such a way that it helps improve the chance it will be found by people searching the web. 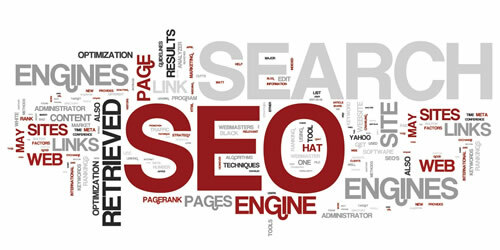 We build your website using current-industry Best Business Practices. We work with you to ensure that important business keywords are prevalent in page content as well as in titles and website links. We include geo-targeting references to ensure that people searching for services in specific geographical areas are able to find you. We include logos and outbound links to professional organizations and other entities with whom you have relationships. We can advise on online marketing tools such as Pay-Per-Click, Social Media Marketing and E-mail Marketing. These, in addition to social networking through Facebook, Linkedin, Twitter and others may help you target your key audience and bring potential customers to your website and your business.